It has been so long, my blogging peoples. SO LONG. 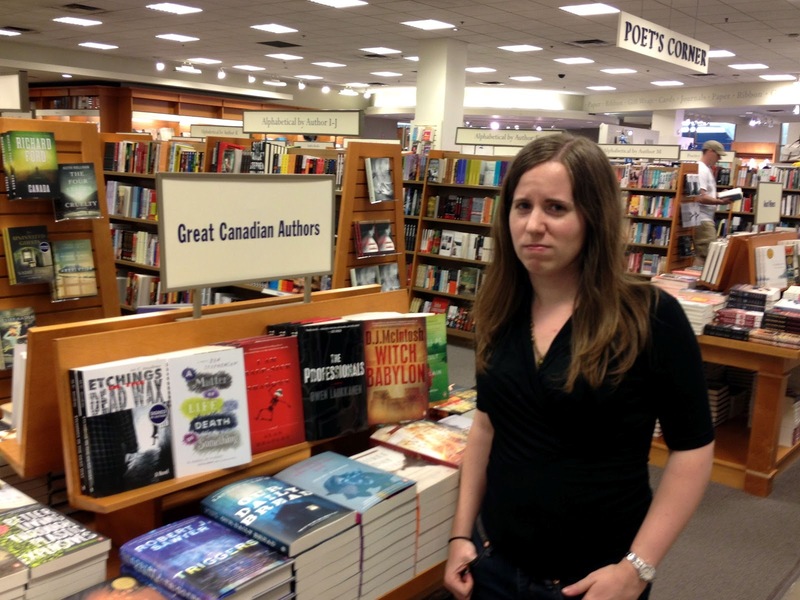 But I have returned from the wilds of Canada, and ne'er shall stray no more (false -- except for the returning part). 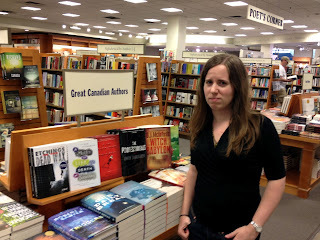 I told my totes BFF that we had to do something bookish or how could I blog about the trip, and she balked until we got drunk one night and wandered into Indigo Books. I bought People of the Book, because the hardcover was on sale, and We Need to Talk About Kevin. Drunk book buying. This is what it gets you. I also bought my friend a book about best friends that featured animal photos. All I remember is one of the elephants looked like it was trying to get it on with another elephant, and I was like "THIS DOES NOT APPLY," but the one with the kitten hugging the dog or something totally does. Did I argue about the Canadian healthcare system with a Banana Republic salesman? Am I still indignant about the price of shredded cheese? Do the walk signs in Toronto all look much closer to a '70s Stayin' Alive walk than our boring ones? All yes. I read parts of The Bloggess's Let's Pretend This Never Happened in the lovely early hangover phase each morning, and it is STILL FUNNY when you have to look at it all bleary-eyed. 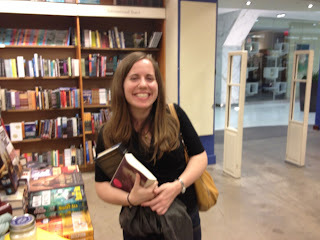 And BFF bought a copy, which is a big deal because she does not buy books. That is how awesome it is, people. READ THE BOOK. Hopefully everyone has been having a stellar time this past week. I plan on writing an actually coherent post one of these days, but for at least today that is an impossibility. 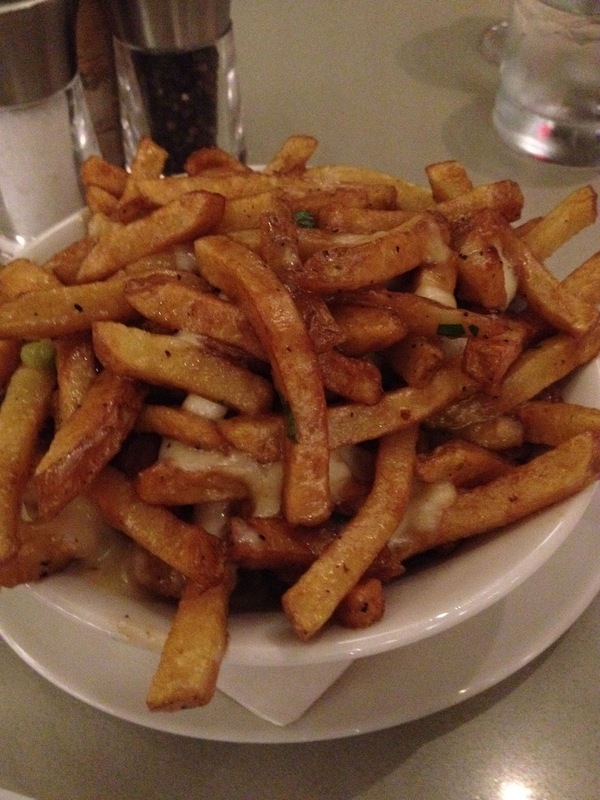 I leave you with poutine.